Being accepted into an elite international school on a cricket scholarship doesn’t mean your life is going to change. Except it does, because hunky Indika – I for Indika, I for Incredible – takes you under his wing, drags you to posh restaurants and shows you pictures from glossy magazines of women who … well, never mind, that’s not the point. The point is: if your best friend snogs your girlfriend, can he still be Incredible? Was he ever? But don’t sweat the small stuff. There are cricket matches to win, examinations to pass, a horrifying past to forget, a sinister schoolmaster to avoid … and, of course, a first kiss to finally experience. Prabu’s life is never going to be the same again. Funny, diamond-sharp and unapologetic, Panther is a novel about that familiar, fractured passage to adulthood that can make us magnificent if it does not kill us. The fictitious war and the invented terrorist organization by the author lay the foundations of this creative fiction but it still makes you tremble with fear and throw up a little in your mouth while reading the atrocities being committed in the story. As I advance in age, I live one moment at a time and make each one count while adding on to my repertoire of interests and hobbies. Currently I am enamored by acrylic painting and beautiful colors, so naturally this book review is going to be soaked in various shades of vibrant hues I love so much and work with daily. The primary color of this tale is red, signaling danger, bloodshed and passion: The passion for cricket by Prabhu, yellow for his friendship for Indika and affection for his family, Pink for his love for Achala, black for his dark experiences with people in authority in his life, beige for his pale relationship with Tajana and Ragaa at the camp, grey for the confusion at being abandoned as a child, white for the innocence of Prabhu’s loyal heart and purity of his devotion for Indika. This fictitious tale of war and how it affects all those caught in the middle of it is a difficult read at times. 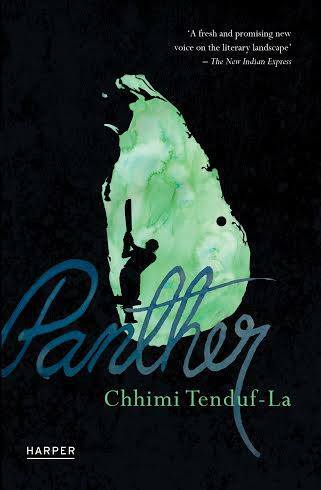 Inclusion of the game of cricket and the humorous interactions between the main protagonist, Prabhu and his best friend Indika keep this book from becoming too serious and melancholy. You will love this book. The story flows smoothly and keeps you hooked till the end. Thanks for the visit. Never heard of the book or the writer. But the review does seem interesting. Rachna, read him once and you will know what I mean 🙂 Checkout my book review of his earlier book too. Thanks and have a great day.